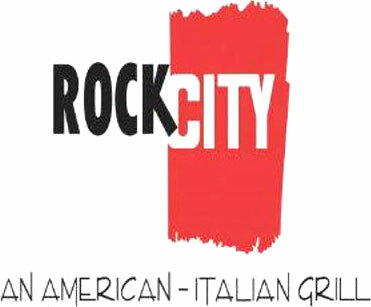 The Rock City Grill will be moving from its current location on the main level of River Park Square to Famous Ed's location at 57th and Regal. Rock City is purchasing Famous Ed's and will remodel with a planned opening date of July 10. Rock City's last day of business in River Park Square is this Sunday, June 12. 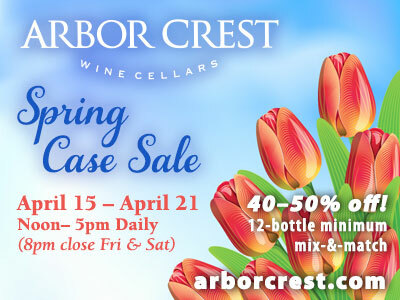 To keep up with the progress, visit them on Facebook, where you will also find information on the sale for their last week in business downtown. Famous Ed's last day will be June 17. The big question is: "What's going to happen to all those famous Ed's?!" Pool World's Big Green Egg Grill Off event with three KXLY personalities is this Thursday, June 9 from 3-6pm at the Pool World Spokane Valley store, 13524 E Sprague. You can watch the fierce competition between Kristi Gorenson from KXLY AM radio, Keith Osso from ESPN radio and KZZU's Ian Kelly compete for the grand prize of a Big Green Egg. 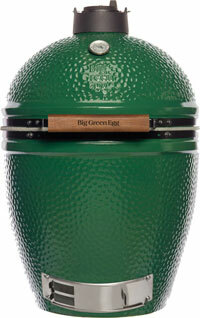 There will be tips on using the Big Green Egg for grilling, baking, roasting and smoking. No food will be served to the public, but people are welcome to stop by and watch the competition. Meridian Construction, Inc. has been selected as the local General Contractor by the City of Spokane Valley to build the $10,500,000 New City Hall located at the corner of Dartmouth and Sprague Avenue. The City of Spokane Valley is building a 51,710 sq ft three-story plus basement Municipality Building with Architects West from Coeur d'Alene. DCI Engineers, another local, prominent firm from Spokane, has been named the Civil Engineering Firm for the Spokane Valley Project. The Spokane Valley City Hall Building will be comprised of steel framing, brick walls, wood framed roof with single-ply and asphalt roofing, and storefront windows. Meridian Construction has constructed several educational and municipal buildings over the last several years, including the Spokane Falls Community College Building 15 Addition, the Early Learning Center for Spokane Community College and the Spokane Valley Fire Department Administration Building. Meridian Construction, Inc. is locally owned and operated for over 15 years, providing construction management and general contracting services for educational, municipal, office, healthcare, industrial and casino projects across the country. White Rabbit Heli Tours is a new business that currently operates two helicopters offering tours of the city and region. 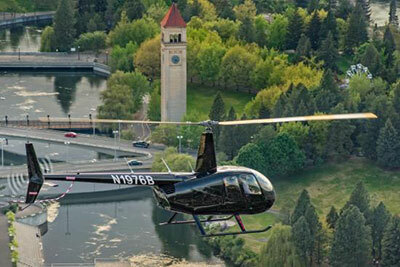 A 15-minute Spokane City Tour is $75 per person, sunset tours $200 and custom 30-minute tours are $325. Get more details at flywhiterabbit.com Photo by TripAdvisor. The Coeur d'Alene Casino Resort ensures that its guests will have fresh food prepared at any hour of the day or night, with the opening of its newest amenities, Huckleberry Express Deli and Jackpot Java Creamery, a dessert and coffee bar. The two sites, side by side, had an official grand opening today. Members of the Coeur d'Alene Tribal Council, representatives of the Coeur d'Alene Chamber of Commerce and casino management gathered at the resort's Skycatcher promenade for a ribbon cutting ceremony earlier today. Huckleberry Express Deli and Jackpot Java Creamery, both in the casino resort's Skycatcher, have been open and operating for the past few weeks, ensuring proper working equipment and allowing time to address any needed changes or improvements. The deli features an expanded menu to include Asian dishes cooked in woks, hand crafted hamburgers from fresh ground beef, seafood and a variety of freshly made deli sandwiches. But the equally significant feature of these new facilities is having them open and available to guests every day, all day and all night. The response to round-the-clock service has already been considerably positive as sales at the deli have remained strong through the early hours of the morning. Expansion at Jackpot Java includes pastries from their kitchen and specialty items from Cyrus O'Leary's Pies in Spokane. The menu there also includes a variety of hard ice cream flavors. Espresso and other coffee drinks will be standard fare, as will a variety of tea selections and other hot drinks. Both Jackpot Java and Huckleberry Express will have comfortable and ample seating areas, each set up to resemble seating arrangements at a sidewalk cafe. Spokane SCORE Chapter 180 presents this week's workshop on How to Write a Business Plan, this Wednesday, June 8 from 8:30am to 12:30 pm. Learn how to write a comprehensive business plan and get assistance from a SCORE mentor to review and help refine your plan. Workshop cost is $25 (usually $40 pre-registered,) $40 at the door, and $15 for an additional person from the same company. Location is the SBA Training Room, 801 W Riverside, Suite 444. 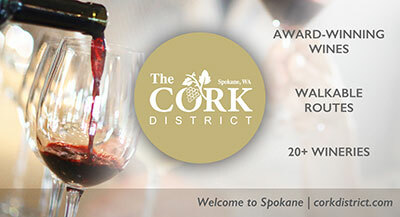 To register, visit www.scorespokane.org. Founded in 1953, Integrus Architecture is a full-service professional services firm providing architectural, planning, interior design, structural engineering and security design services for education, civic/government, justice, and commercial clients throughout the world.